The project is aimed at fulfillment of such prioities of Karelia CBC Programme as “Increased environmental awareness” and “Improvement of peoples’ physical living environment”, pursues the following objective: increased environmental awareness of citizens, authorities and public organisation through introduction of joint approaches and principles of environmental monitoring in Finland and Karelia. - Joint action plan for regular monitoring of trans-boundary water bodies located in bordering areas of Eastern Finland and Karelia. - Clearly defined common approaches and methods of air quality monitoring and climate change measurements. 1. Impossibility of providing the necessary up-to-date information (data) for controlling organisations, federal and regional authorities, other stakeholders and population. 2. 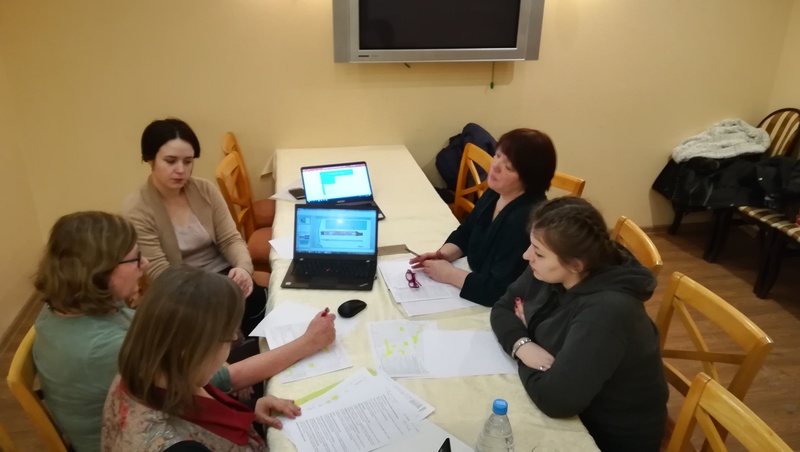 Due to the lack of monitoring points of the Roshydromet State Observation Network at some water bodies, water users are forced to spend additional resources for regular studies of pollution of water bodies, or organize their own monitoring and laboratory analysis system. If a water users does not receive the necessary data, they might be punished by the controlling authorities. 4. The population of Karelia, in general, is not sufficiently informed about the water and the air quality. The population does not have the opportunity to receive relevant information quickly and on permanent basis, for example, from Internet resources. 5. Some data on water and air quality obtained on the Finnish and Russian sides are poorly comparable. 1. Autonomous no-profit organization Energy Efficiency Centre (ANO EEC), one of the most active non-governmental organizations with experience of working as a coordinator and/or partner in several international projects in the field of energy-efficiency, housing, nature protection, ecology and communal services development. 2. Karelian Centre for Hydrometeorology and Environmental Monitoring (Karelian CHEM), the organisation responsible for the state environmental monitoring system in Karelia. This organization is a part of the All-Russian Federal Service for Hydrometeorology and Environmental Monitoring (Roshydromet). 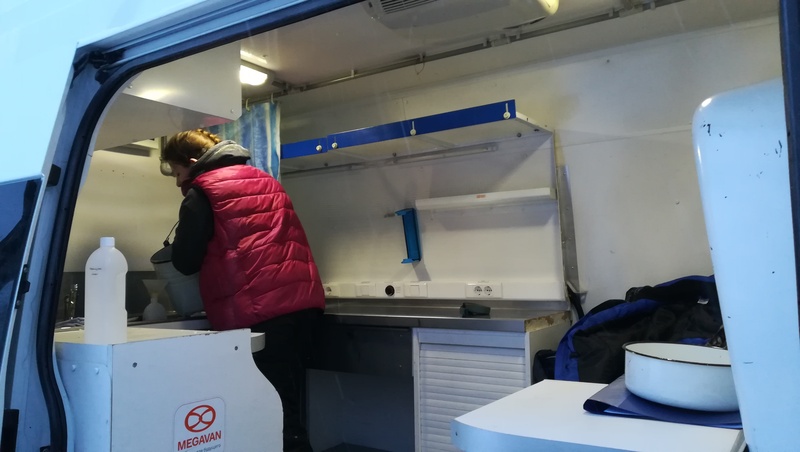 The Karelian Centre for Hydrometeorology and Environmental Monitoring has its own state network of monitoring stations for water objects and the atmosphere in Karelia and the Laboratory for Environmental Monitoring. It provides observations of the state and pollution of the atmosphere, surface water and radioactivity. For today the monitoring network of Roshydromet comprise 28 water objects (21 rivers, 5 lakes and 2 water reservoirs). 3. Finnish Environment Institute (SYKE, Joensuu) is the national environmental reference laboratory appointed by the Ministry of the Environment in Finland. The tasks of the reference laboratory include the support to the authorities as well as to the research and surveillance laboratories and institutes in Finland. 4. The Finnish Meteorological Institute (FMI) is the official expert authority on air quality in Finland. The FMI is a weather service and research institute working under the Ministry of Transport and Communication of Finland. The FMI operates meteorological, air quality, radioactivity and space weather observation networks, delivers meteorological service to the society and conducts research in these fields of science. 5. Arbonaut Ltd. has developed with SYKE in the EU founded Life project GISBLOOM an open source web GIS platform, named Vesinetti, which provides an information infrastructure for operational and interactive use and exchange of data and models, including estimation of nutrient loading as well as its ecological impacts and cost-efficiency of management measures. The main target group of our project and direct beneficiaries of project activities is a group of experts, researchers and technicians working in the organisations involved in monitoring of water resources in Finland and Karelia (about 20 persons from partner organisations and other stakeholders). • The Federal Agency for Water Resources (Rosvodresursy) and its branches located in Karelia. • ELY-Keskus (North Karelia department). Measures taken in the course of the project will also be beneficial for ecological NGOs and public environmental councils (regional and municipal) that will utilize the results of the project after its completion. What we want to achieve: Increased environmental awareness of citizens, authorities and public organisation through introduction of joint approaches and principles of environmental monitoring in Finland and Karelia. What kind of result we envision: introduction of an effective joint ecological monitoring system in the bordering areas of Karelia and Finland. 1. Joint Action Plan for sustainable operation of joint environmental monitoring in trans-boundary areas is elaborated. 3. Electronic internet-based platforms for monitoring data exchange are introduced on both sides of the border. WP1 - Planning Phase, joint work meetings and seminars for joint cross-border monitoring system development including elaboration of joint Action Plan for 2018-2020. WP2 – Investment component, automatic monitoring stations (AMS) procurement and installation. WP3 - Implementation of the concept of cross-border environmental monitoring by creation of the system of exchange and analysis of the data obtained on both sides of the border (internet based platforms development). WP4 – Capacity building measures, training of the staff of partner organizations and other project stakeholders. WP5 - Dissemination of the information on the major project activities and obtained results.